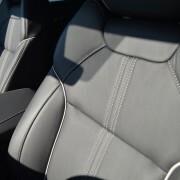 From a safety standpoint, it scores extremely well in the government’s 5-star safety evaluation, posting a top-ranked 5-star “Overall Vehicle Score.” It also merits a “Recommended” check mark from Consumer Reports, an outfit that is notoriously picky about issuing endorsements. 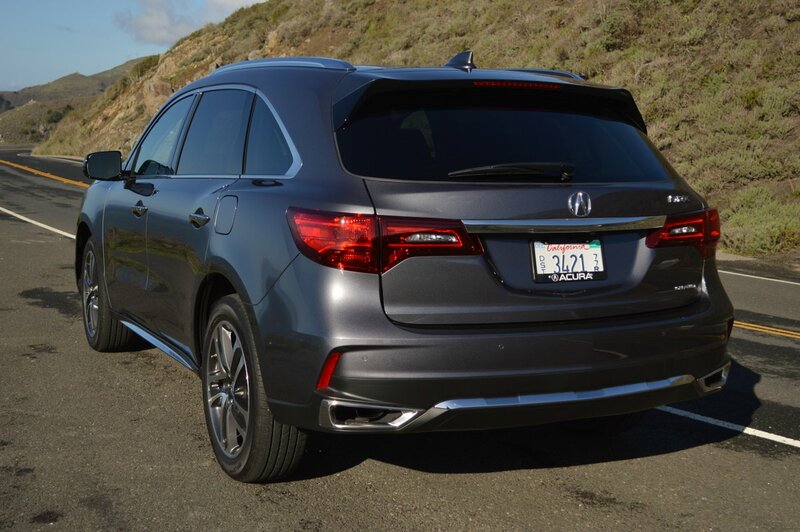 For 2017, Acura has standardized inclusion of all “Acurawatch Features” which had previously been available as extra cost options. These include adaptive cruise control, collision mitigation braking, forward collision warning, lane departure warning, lane keeping assist and road departure mitigation. As the industry moves ever closer to the self-driving vehicle, these safety enhancements become more and more common. 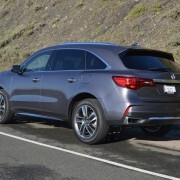 Still, to find them offered as standard on a mid-price SUV comes as a pleasant surprise, especially since their operation proved helpful rather than burdensome during our week long test of the MDX. 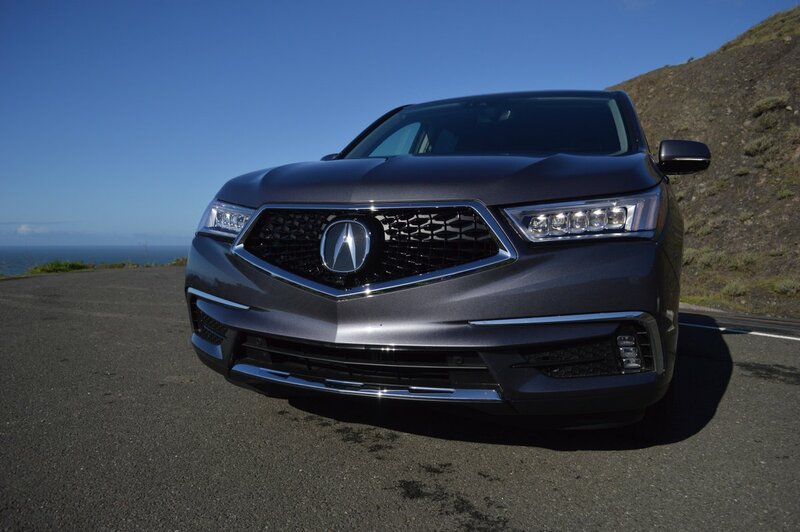 For 2017, Acura has also improved the vehicle’s appearance with a new front fascia derived from their Acura Precision concept car. 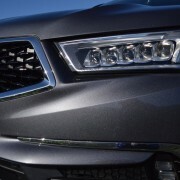 Gone is the previous model’s broad swath of matte aluminum affixed to the upper grill. Below the beltline, an upturned body color blade functions as a front spoiler while also channeling air into the lower grill. The new look is clean and more practical than the ugly beak it replaces. 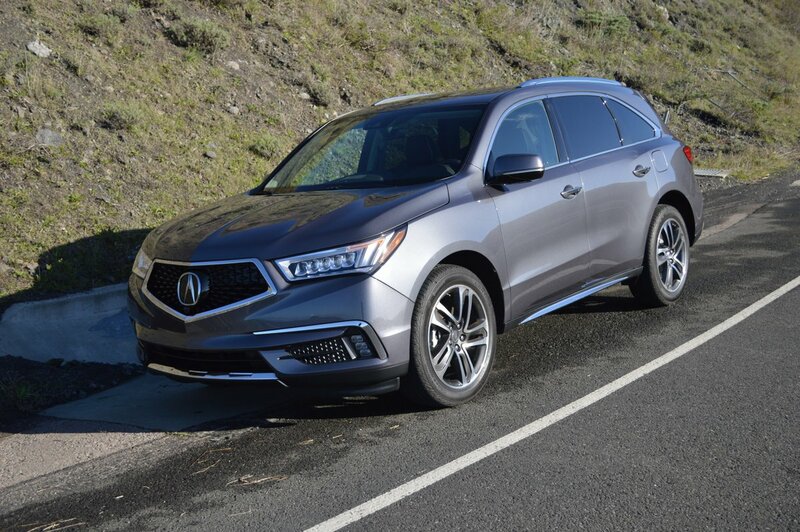 Inside the MDX, you will now find 4 2.5 amp charging ports strategically located through the cabin which allow for quicker refreshment of your mobile devices. 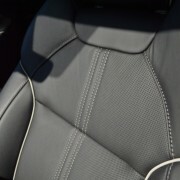 The front Sport Seats in the MDX feature handsome perforated premium leather trim. They are well proportioned and padded for long distance comfort and offer ventilation and heating. 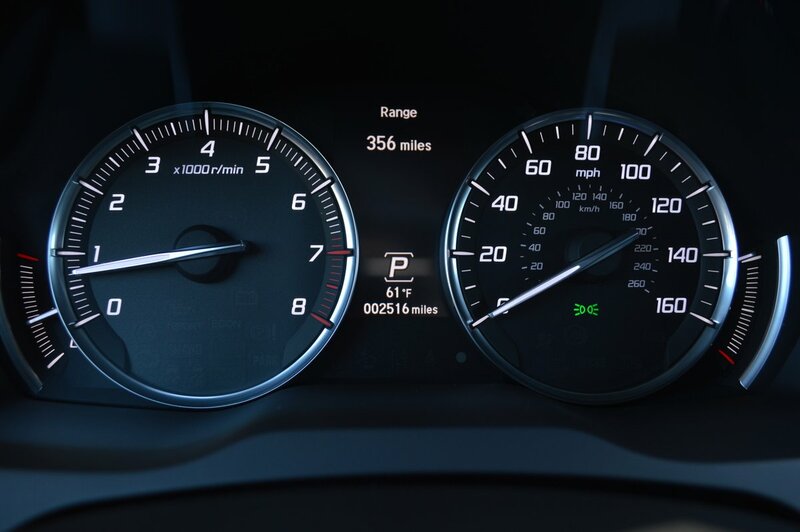 However, due to Acura’s annoying insistence on using a menu-controlled graphic interface, seat temp actuation requires double menu selection, This is a time-consuming and unnecessary procedure that distracts your driving attention span. 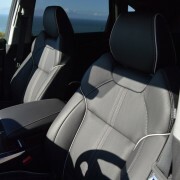 Back seat riders are well looked after, with commodious seats and a mini-dashboard for ventilation and seat heater controls. 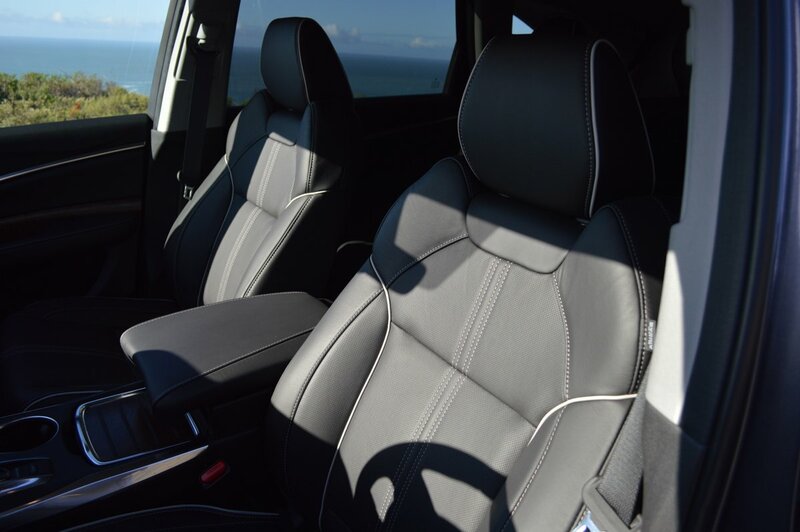 Ironically, those back seater occupants – not tasked with driving – are given simple buttons to control their seat heaters and HVAC. 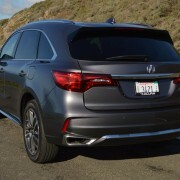 All the good looks and vaunted safety ratings wouldn’t mean much if the revamped MDX proved unrewarding to drive. Fortunately, such is not the case. 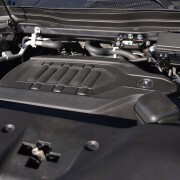 Let’s start under the hood, where a 3.5 liter V6, fitted with all the latest technical tweaks (direct injection, VTEC valve actuation) churns out 290hp which is fed to all 4 wheels via a 9-speed automatic transmission. I can recall a time when most bicycles didn’t boast 9 gears, let alone SUVs. The upshot of the drivetrain pairing is excellent performance across the board. 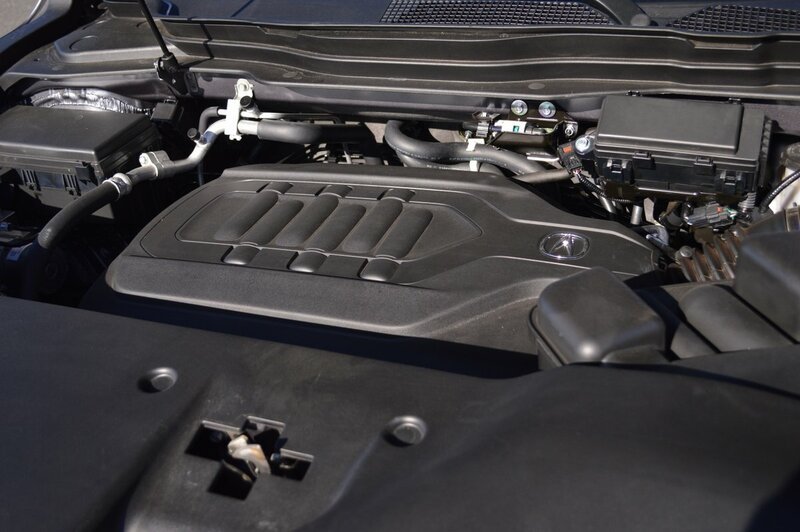 The engine is explosive enough to drop 0-60mph acceleration times into the high 7 second range, compelling performance indeed for a vehicle weighing 4,200 pounds. 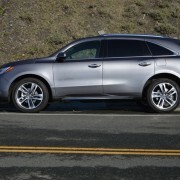 The MDX AWD is also rated for 5,000 pound tow duty, and comes equipped with a factory installed receiver jack. 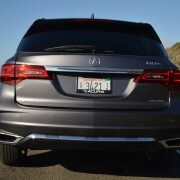 The MDX stands 68 inches tall on its 8×20″ alloys. 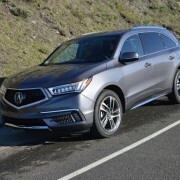 Although Acura does offer optional ($700) running boards they are hardly needed and also ruin the clean appearance of the streamlined body shell. 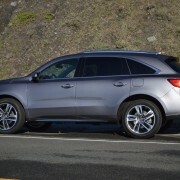 The tires chosen for MDX use are Continental Cross Contact mud and snow rated radials measuring 245/50R20. 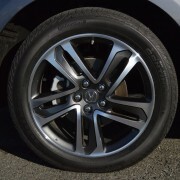 These provided excellent dry and wet weather adhesion, and are responsible for the MDX’s quick cornering reflexes. Equally important is the console-controlled “Sport” driving mode setting (part of a 3-choice Integrated Dynamics System). 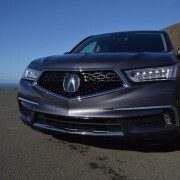 “Sport” optimizes response of Acura’s Super-Handling AWD system. Manual override of the automatic gearbox via paddles adds to your sense of control here, and any chosen gear can be locked in by double tapping the “D” button on the selector console. Although this quirky shift module, situated between the front seats, does simplify console space, the device never falls readily to finger. your SUV consideration. 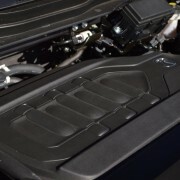 It is fast, well built (in Lincoln, Alabama), comfortable and useful. You really can’t ask for more than that for your $57,340.